As we continue our eternal journey in becoming One with our Source Self, these pointers from Wayne Dwyer are an excellent reminder of where we need to persist in our vigilance - in our response to our own minds and expression. Stay on purpose, detach from outcome, and take responsibility for what does reside in you: your character. Leave your reputation for others to debate; it has nothing to do with you. Or as a book title says: What You Think of Me Is None of My Business! I've posted this due to the heart-warming element of lions' behaviour towards humans in this piece, as well as a reminder of appreciation...for our own lives. The piece illustrates the natural compassion that lions and all animals hold within them, even in the face of continuous persecution and being murdered by humanity for greed and profit. And they demonstrate a serious lesson to humanity. 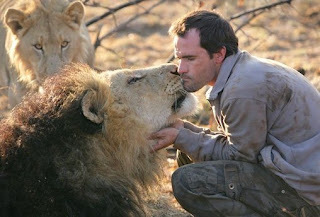 If the situation were reversed and it was humans beings permanently hunted and murdered by lions (or any other animal, for that matter), I believe the bulk of humanity would have long forgotten compassion and would rather be permanently in attack or defence mode with any animals coming near them! Yet despite the torture animals have experienced at the hands of man and in a country where they are regularly hunted, we witness this type of demonstrated wisdom. Besides the fact lions are my personal special animal, this is truly inspiring. Secondly, and of equal importance, this story serves to remind us of the deep gratitude we should be holding for our own lives. Those who read here that chose to be born into a relatively 'freer' society, that is. At least in this external regard. Ones where we have the luxury of choice to pursue the fulfillment of a personal love, consisting of mutual and equal feelings between two. Rather than be born and raised in a society where almost 3/4 of marriages exist as a result of kidnapping/abduction. Quote:ADDIS ABABA, Ethiopia — A 12-year-old girl who was abducted and beaten by men trying to force her into a marriage was found being guarded by three lions who apparently had chased off her captors, a policeman said Tuesday. Stuart Williams, a wildlife expert with the rural development ministry, said the girl may have survived because she was crying from the trauma of her attack. Ethiopia’s lions, famous for their large black manes, are the country’s national symbol and adorn statues and the local currency. Despite a recent crackdown, hunters kill the animals for their skins, which can fetch $1,000. Williams estimates that only 1,000 Ethiopian lions remain in the wild. Kidnapping young girls has long been part of the marriage custom in Ethiopia. The United Nations estimates that more than 70 percent of marriages in Ethiopia are by abduction, practiced in rural areas where most of the country’s 71 million people live. After reading this Monjo piece, please go to abundanthope.net and read Monjo's other piece thru Benjamin, taken by him just after mine. "These were separate messages for both the Light and the Dark. So that both groups know clearly where they stand/are shortly to stand." Or words close enough to those. M: Here I AM Shellee Kim. Delighted you could make it. I was only half expecting you. M: you did indeed. Well, shall we get on with it? M: First, to all our beloved family, our ground crew: You have performed spectacularly in this mission so far, beloveds. And there is much we must thank you for. Shortly we will be showing you just how grateful and thankful we are in a myriad of ways. Our most beloved friends-you are yet to shine like the brilliant, multi-faceted Lights you truly are. And this time your Light will not remain purposefully dimmed at a low level, lighting up but the darkness in a small room. Your Light is to shine individually and collectively so bright that all who come into contact with you and it are to feel its power source. There will be no more hiding; no more fears of reprisals and certainly no more subterfuge committed against you in bids to block your most precious Light. All the glory that you are, that you ever have been, will now be displayed for all to see. Your roles await you. And, for some, your partners await you. Together you will march forth, an indomitable army of Light warriors, clearing the path and leading the way for all those who will follow in your footsteps. Your paths, thus far, have been long and winding, narrow and treacherous, and for some, have taken completely unexpected turns. Both for the better and the worse. As things unfold, this will signal the end of your guessing games and the end of your uncertainty as to who you are. …Yes, the secret of the ages is now upon you. Where you finally are privy to the secret of yourself, of who you really are and why you chose this earth mission at this fortuitous time on earth. Fortuitous for you ones who wish to advance your eternal journey in an accelerated fashion. The school of Earth is indeed THE place to be for a fast(er) track to evolution at this time. And you will discover all you have endured in this and over your many lifetimes have prepared you for this point of complete surrender to the fullness of your true being. 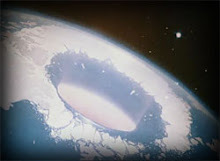 Only the ‘best of the best’ were selected for this particular Earth mission. And, although it is with some regret that numerous of these fell by the wayside, those who didn’t and haven't are to know the full splendor of that which they have earned. Gird your loins now, beloveds. Take your positions – for what is to be the grand finale that marks the end of this cycle. Your tomorrows are to be filled to capacity and these are literally the last moments of your preparation, your maintaining a low profile and the enjoyment of relative peace and quiet before the action begins in earnest. And we have great faith that you ones will sparkle all the way, once you have come into your own. It is with great pleasure we therefore announce: let the Games begin. May I take this opportunity to thank this one of availing herself as and when, and the efforts she is making in this (message taking) regard. We are looking forward to many others of you (SK: globalwide) stepping forward and committing also to such tasks in the immediate future. We are truly to begin working together at all levels in great and wondrous co-llaboration. I AM Monjoronson, signing out. 3. Confused Motivations: Although our desire to grow is genuine and pure, it often gets mixed with lesser motivations, including the wish to be loved, the desire to belong, the need to fill our internal emptiness, the belief that the spiritual path will remove our suffering and spiritual ambition, the wish to be special, to be better than, to be "the one." 6. Mass Production of Spiritual Teachers: There are a number of current trendy spiritual traditions that produce people who believe themselves to be at a level of spiritual enlightenment, or mastery, that is far beyond their actual level. This disease functions like a spiritual conveyor belt: put on this glow, get that insight, and -- bam! -- you're enlightened and ready to enlighten others in similar fashion. The problem is not that such teachers instruct but that they represent themselves as having achieved spiritual mastery. 7. Spiritual Pride: Spiritual pride arises when the practitioner, through years of labored effort, has actually attained a certain level of wisdom and uses that attainment to justify shutting down to further experience. A feeling of "spiritual superiority" is another symptom of this spiritually transmitted disease. It manifests as a subtle feeling that "I am better, more wise and above others because I am spiritual." 8. Group Mind: Also described as groupthink, cultic mentality or ashram disease, group mind is an insidious virus that contains many elements of traditional co-dependence. A spiritual group makes subtle and unconscious agreements regarding the correct ways to think, talk, dress, and act. Individuals and groups infected with "group mind" reject individuals, attitudes, and circumstances that do not conform to the often unwritten rules of the group. 9. The Chosen-People Complex: The chosen people complex is not limited to Jews. It is the belief that "Our group is more spiritually evolved, powerful, enlightened and, simply put, better than any other group." There is an important distinction between the recognition that one has found the right path, teacher or community for themselves, and having found The One. 10. The Deadly Virus: "I Have Arrived": This disease is so potent that it has the capacity to be terminal and deadly to our spiritual evolution. This is the belief that "I have arrived" at the final goal of the spiritual path. 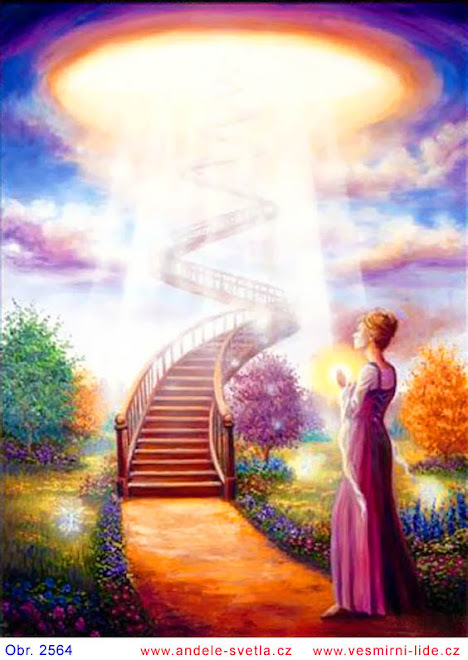 Our spiritual progress ends at the point where this belief becomes crystallized in our psyche, for the moment we begin to believe that we have reached the end of the path, further growth ceases.